AAKANGSHA WELL WOMEN SOCIETY is located in Guwahati Assam . AAKANGSHA WELL WOMEN SOCIETY is registered as a Society at Guwahati of state Assam with Ngo unique registration ID 'AS/2011/0047227' . 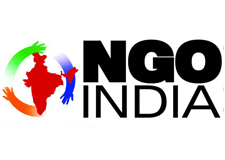 The NGO registration is done by Registrar of Societies with registration number RS/KAM(M)/240/A-28/454 on the date of 31-10-2011, Its parent ORganaisation is AAKANGSHA Well Women Society. The Chairman of AAKANGSHA WELL WOMEN SOCIETY is Rupali Dey and Chief functionary officer is Mamtaz Begum. Successfully Organized Children Day and distributed Gifts and Sweet among Children in a school of underprivileged. Created SHGs for self employment of women. Micro Finance. Distributed cloths and sweets among the inmates of an Old Age Home during festival.